Before you trust your mid- and back-office operations—including finance and accounting—to an outside provider, you must know who you’re dealing with and what to expect. See how your potential partner measures up by asking the right questions (and listening for the right answers). This Q&A, “Ready to Choose a Transformation Partner?” can simplify your vetting process and get you on the road to a streamlined business model that maximizes growth potential. 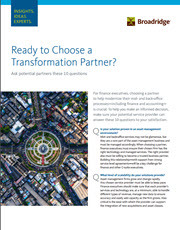 Download Q&A Ready to Choose a Transformation Partner? See how your potential partner measures up by asking the right questions (and listening for the right answers). This Q&A, “Ready to Choose a Transformation Partner?” can simplify your vetting process and get you on the road to a streamlined business model that maximizes growth potential.See how your potential partner measures up by asking the right questions (and listening for the right answers). This Q&A, “Ready to Choose a Transformation Partner?” can simplify your vetting process and get you on the road to a streamlined business model that maximizes growth potential. Demi Derem discusses the business challenges faced by the custodian and asset servicing communities. 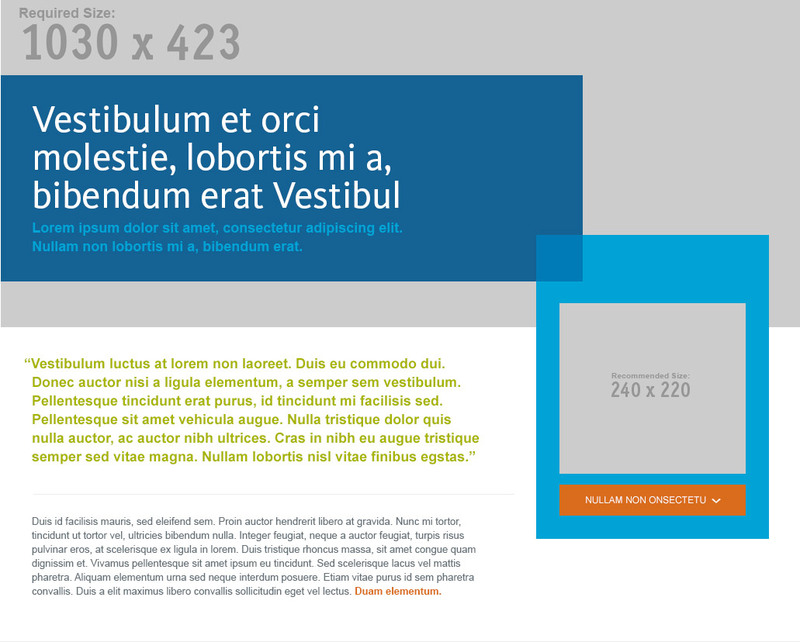 Is your end-to-end solution T+2 ready? The settlement period for in-scope securities on the secondary market in the US & Canada will be shortened to two days come September 5 2017, and firms need to adapt their end-to-end STP process. 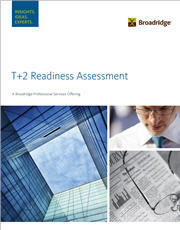 Assessing T+2 readiness is one of the final phases of preparations for the compression of the trade cycle. Download our white paper to learn how your firm can prepare for the transition to T+2 settlement. How asset management firms are managing increasing complexity and regulation. How finance executives can help ensure successful business growth and development. Would you like a representative from Broadridge to contact you? The first step on this journey requires the ability to assess the type of business transformation necessary to help the firm meet its operational and financial goals. Evolving regulatory regimes, combined with greater and more complex transaction volumes, are stretching front-,middle- and back- office systems. The experts weigh in.